Connecting in the Community aims to strengthen community leaders. 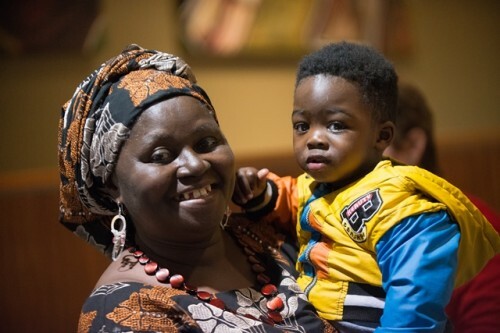 If you're an African women who lives, studies or works in Brimbank you're encouraged to participate in Brimbank City Council’s leadership program, Connecting in the Community. Applications close Friday 25 September 2015. The program aims to strengthen community leaders, which in turn is expected to strengthen the Brimbank community. You'll learn leadership skills and develop the confidence to connect with the community. You'll also gain an understanding of how to engage with Council and learn how to get involved in community activities. If you join you'll be encouraged to share your story and be inspired by the stories of other African women and their journey into leadership. The program provides an opportunity for you to meet new people and take the lead to create a better Brimbank. Connecting in the Community is fully subsidised with all expenses covered, including reasonable transport and childcare costs. Contact the Community Planning and Engagement Officer on 9249-4039 or CPIevents@brimbank.vic.gov.au. Also see our Community Leadership page. Applications close Friday 25 September 2015 at 5pm.